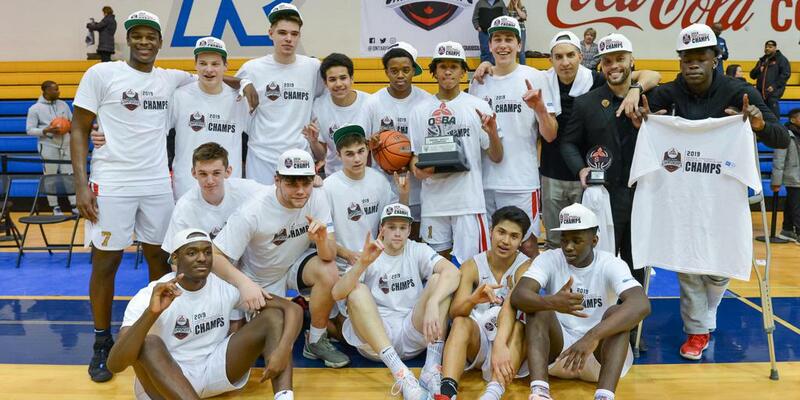 Congratulations to the TRC Wolfpack out of Brantford on their 2019 OSBA prep high school basketball Championship! The men from TRC accomplished the second of back-to-back OSBA Championships, with a 104-87 win over Thornlea Prep, after entering the Playoffs as the #3rd seed and overcoming Ridley College in the semi-finals and an injury to star guard Sabry Philip in the opening game. TRC was led by Playoff MVP Avan Nava, heady point guard play of Darius DeAviero, and spot-on shooting of Adam Francolini as well as the leadership of OSBA Coach of the Year Tyrell Vernon. ©2019 Ontario Scholastic Basketball Association / SportsEngine. All Rights Reserved.